Those four words sum up the work of Jeremy E. Smith. As a Musician, I have played all over the country in groups such as the Huntington Symphony Orchestra, the King’s Brass, the Youngstown Symphony, and the Mansfield Symphony Orchestra and other musical ensembles. 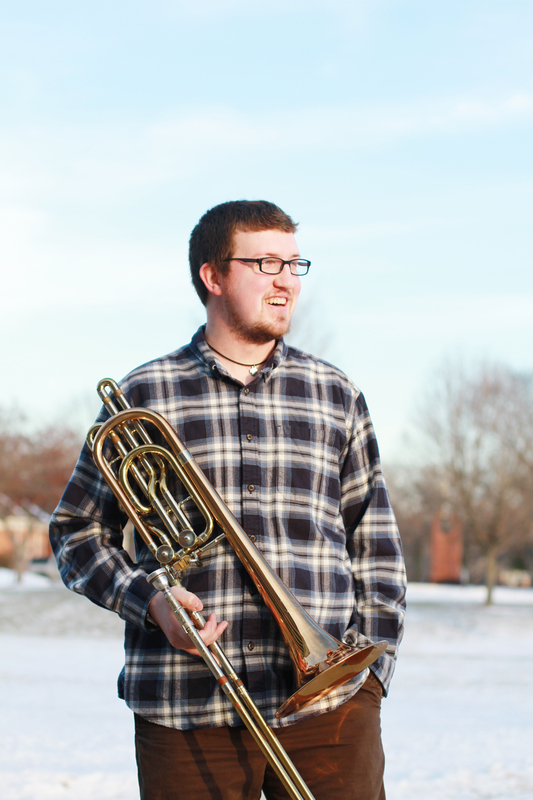 Music has also allowed me to become a brass Educator where I have given masterclasses at Marshall University, the North Carolina Trombone Festival, and been a guest artist at Ohio University. At the age of 25, I was hired to teach low brass at two colleges in Central Ohio as well direct a university pep band. During that time, I started my online business of teaching students from around the country – all from the comforts of my home. Since 2013, I have built my virtual lesson studio to include students ranging from fifth grade trumpet players to sixty-five year old trombone students. As a Writer, I began his first blog back in 2007 when I started to write about life and my journey to the trombone section of an orchestra. Over time, that first blog morphed into this current blog. I mainly write posts that relate to music as well other topics that mainly interesting to me. In 2014, I saw a need in the brass music world for a website that would be a be resource for musicians to find links to other brass artists as well as upcoming auditions. In two years, Last Row Music has become one of the most visited websites to find the most recent brass auditions throughout the world. As a man of faith, and growing up in a Christian home, ministry has been around me my entire life. In November of 2015, after seeing my love and passion for students, my local church asked me if I would be willing to become the new Student Minister. I humbly accepted knowing the desire in just building relationships would be the driving force behind my work. This position has been one of the most rewarding opportunities I have had, mainly because I am a simple person with two degrees in music wanting to have an influence on the ministry Centerburg CrossRoads.